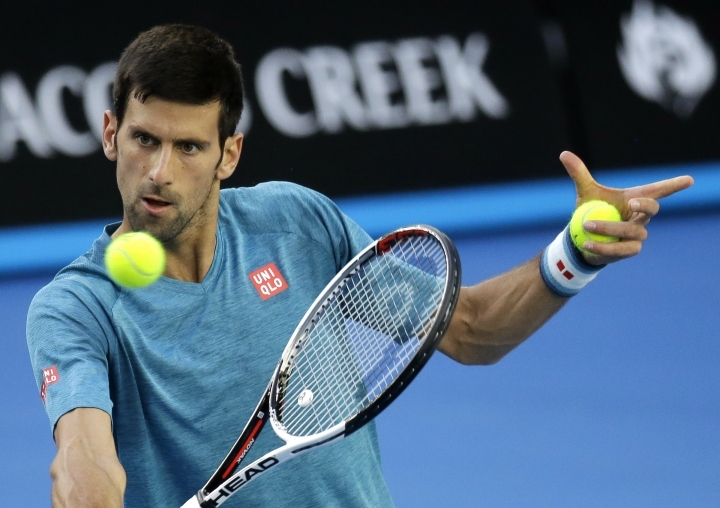 MELBOURNE, Australia — Not much room for error: six-time Australian Open champions Serena Williams and Novak Djokovic face tougher-than expected first-round matches on Tuesday. Both are chasing records at Melbourne Park, where Williams is hoping to set an Open-era record by winning her 23rd Grand Slam title and Djokovic is striving to be the first man to win the Australian title seven times. Williams, who lost to Angelique Kerber in last year's final, has drawn Belinda Bencic, who was seeded 12th here last year and who beat her in Toronto in 2015. Their career record is 1-1, with Williams having beaten Bencic on clay at Madrid in 2014. Bencic advanced to the fourth round at Melbourne Park last year. "I think it will be good for us both," Williams said. "She's done well here before. It's never easy for me. I didn't come here to lose in the first round, or the second round, or at all. If I can play the way I've been practicing, it will be fine." Djokovic, meanwhile, faces veteran Fernando Verdasco, a man he's beaten nine times in 13 career meetings. Verdasco had an upset win over fellow Spaniard Rafael Nadal last year in the first round. "Fernando is a very complete player on any surface. In a given day, if things go right, he can beat really anybody on any surface," Djokovic said. He's not overwhelmed by the occasion of playing on center court. I'm expecting a tough one, there's no doubt about it." BENCIC IS PUMPED: Bencic has a 9-2 record in first-round Grand Slam matches. Bencic found out about her first-round opponent when, she admitted, "my Twitter was blowing up. I was like, What's going on? My first reaction was really happy. So I think I'm super pumped, like excited I get to play on the big court." She thinks it's anything but back luck that she drew Williams: "I think we're going to play on the big court. It's a big match ... it's what everyone's working for." Williams has Bencic's record in first-round majors covered, and then some. She's 64-1 in Grand Slam first-round matches, her lone opening-round loss at a Grand Slam came at 2012 Roland Garros against Virginie Razzano. 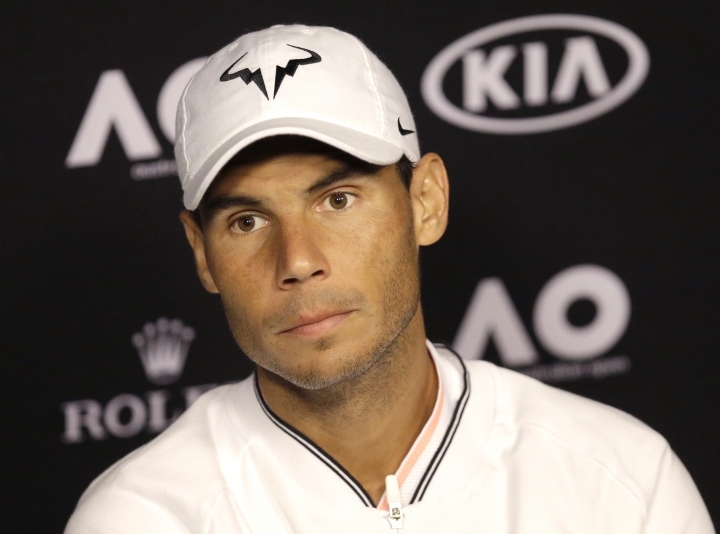 RAFA READY: Rafael Nadal is coming off two lengthy injury layoffs last year, and his match on Rod Laver Arena against Florian Mayer will be the first between the pair since 2012, when Nadal won on clay at Rome. Mayer beat Nadal on hard courts at Shanghai in 2011. Nadal has reached the second round or better in all but one of his 12 previous trips to Melbourne Park — the one failure coming last year when he lost to Verdasco in the first round. Mayer is hoping to end a seven-match losing streak at the majors and record his first Grand Slam match win since he reached the round of 16 here in 2014. CAN KONTA DO IT AGAIN? 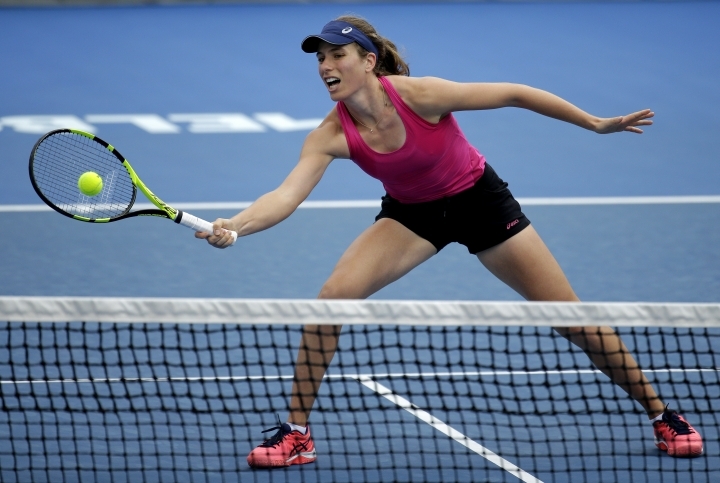 : Last year, Sydney-born Johanna Konta was a surprise semifinalist at Melbourne Park, and the British player is now in the top 10 and coming off a victory in the Sydney International last week, where she overwhelmed third-seeded Agnieszka Radwanska in the final. She'll play Kirsten Flipkens of Belgium to open the day session on Margaret Court Arena. "I played her (Flipkens) last year in Monterrey, she beat me there. I'm looking forward to the opportunity to play her again. She's a great player. She's a Wimbledon semifinalist (2013). She's been around the tour for a long time. That's by no accident." Konta has won only five of her 12 first-round Grand Slam matches. RAONIC FAVORED: Last year's semifinalist and No. 3-seeded Milos Raonic plays Dustin Brown of Germany in the second match on Margaret Court. Brown has never won a match at Melbourne Park, and he's only beaten a top 10 player once in a Grand Slam. Advantage to the Canadian. They have played once before, when Raonic beat Brown in the first round at last year's U.S. Open.